Take the unique opportunity to get to know more about Cuba’s fascinating local culture, while discovering the timeless sights and sounds of nostalgic Havana. Take a ride in a classic car through the historic Malecón. Explore the classic architecture of Old Havana, mingle with locals and partake of the cafecito ritual at Café Marina. Dance to live salsa at the famed Cabaret Tropicana Night Club, or enjoy Havana’s famed Mojitos while catching a Latin jazz act at Jazz Café. Come seek a place untouched by time. 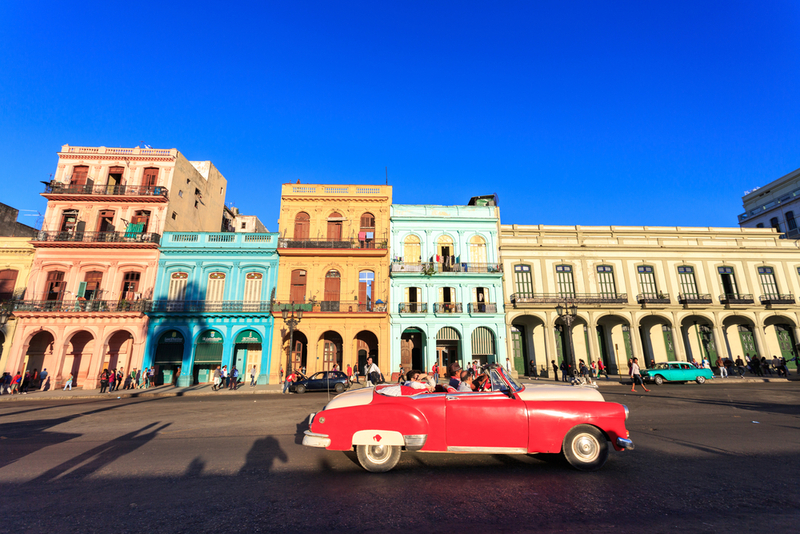 To celebrate the new sailings, Royal Caribbean have shared their top tips on making the most of the Havana experience, including extraordinary shore excursions and onboard features, which will leave our guests feeling like locals in no time. From its grand plazas to its captivating historical monuments and political buildings, Havana is teeming with magnificent sights. Behind the views lurks a fascinating history of politics, literature and architecture. Taking a tour is a great way to explore all that this remarkable destination has to offer. Be whisked away to the many sites of New and Old Havana. Visit Plaza de la Revolucion, site of many political rallies and an ode to Cuban heroes. Pass by El Malecon, known as Cuba’s couch. This famous seaside avenue is used by Cubans to cool off and gather late into the evening. Another ‘must see’ for culture vultures is El Capitolio Nacional, a building which mirrors the US Capitol in Washington D.C. Constructed in 1929, it was once the seat of government in Cuba. 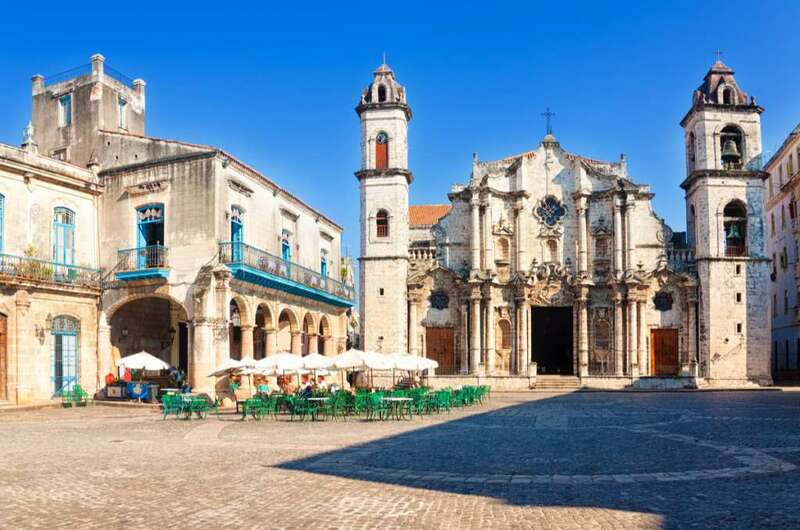 You’ll really be transported back to the past as Cuba’s illustrious history and vibrant culture come to life at these picturesque sites! Immerse yourself in the sights and sounds of this UNESCO world heritage site. This guided tour will take you to the most important Plazas in Vieja Habana. Visit Plaza de Armas, Plaza de San Francisco, Plaza de la Catedral and Plaza Vieja, now full of enticing stands selling antiques, posters, books and memorabilia. Learn about the history of the Cuban notables displayed on a mural located on Mercaderes Street. On this tour, you’ll enjoy the history, sights and sounds of this colourful Spanish colonial city. From his very first visit to the country in 1928, classic American author Ernest Hemingway felt a kinship with the Cuban people, and was inspired by many of his experiences while he was in Cuba and on the waters surrounding the island nation. From visiting Hemingway’s home, Finca la Vigia to Cojimar, the fishing village that inspired the Old Man and the Sea, this tour will enable you to see the wonderful Cuba through the eyes of the famed literary artist. Make sure you check out Hemingway’s two favourite watering holes in Havana, La Floridita and La Bodeguita del Medio, while you’re there! For the most extraordinary way to experience Cuba, take a ride in a vintage American automobile. The ride will take you on a 3-hour road trip across the Malecón (Avenida de Maceo), which is a broad esplanade, roadway and seawall which stretches for 8 km (5 miles) along the coast in Havana, Cuba, from the mouth of Havana Harbour in Old Havana, along the north side of the Centro Havana neighbourhood, ending in the Vedado neighbourhood. If there’s one thing Havana is famous for, it’s the rhythm and colour of its vibrant nightlife. If you’re spending the night in the city, make sure you spend time experiencing the city’s buzzing live music scene.Dance to live salsa at the famed Cabaret Tropicana Night Club, and catch a Latin jazz act at Jazz Café.The locals like to look sharp, and Cuban clubs will often observe a dress code that excludes shorts and flip flops, so make sure you’re dressed to impress! If you’re only stopping in Havana for the day, there’s no need to miss out on the fun. Empress of the Seas will feature its own slice of Havana nightlife onboard with Boleros, a venue that is pure Cuba – the history, legends, the traditions to hear, see, taste and feel. This two-level entertainment space is lively and real – from the conversation to the salsa dancing to the pure enjoyment of a hand rolled cigar and a mojito. Cuban cuisine is known as ‘comida criolla’ and heavily features pork and chicken, usually accompanied by rice, beans and root vegetables. Popular national dishes include stews like ropa vieja (shredded beef or lamb) and ‘ajiaco’ (meat, corn and green vegetables), while fried plantain, salad and sweet potato are common accompaniments. Taste these local delights in one of Havana’s many restaurants, including the famous La Guarida. You’ll find a touch of Cuban cuisine tucked away on Empress of the Seas – keep a look out for cortaditos and café con leche in Café Royal. For more information on Royal Caribbean International or to book your Cuban getaway, visit http://www.royalcaribbean.co.uk or call 0844 493 4005.